Colorized photograph of Neptune's fountain. 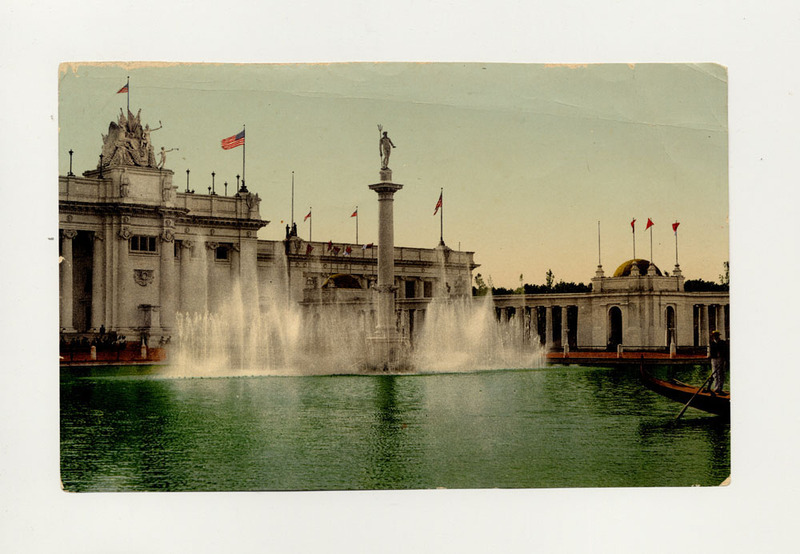 U.S. Government Building and northwest colonnade behind fountain. Gondola in lagoon. Fountains turned on.